THE saying "out with the old, in with the new" rings true for 49-year-old coal facility Barney Point Terminal. 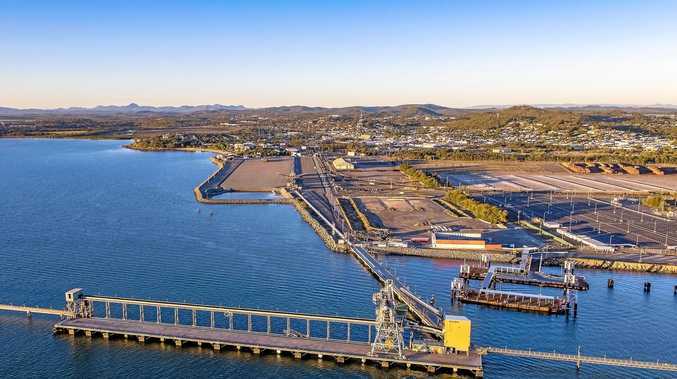 The Gladstone Ports Corporation terminal was transformed earlier this year when its coal operations officially ended. Chief executive officer Peter O'Sullivan was proud to say "there's no sign of coal" at the terminal, honouring a commitment made to the Barney Point community. Ship-loading equipment remains at the terminal, which was built in the early 1960s, and is now used as an export hub for calcite and woodchips. Mr O'Sullivan said the port could introduce new opportunities for export from the terminal as unique projects come online in Central Queensland. "We're looking at the (Carbine Resources) Mount Morgan Mine project, they're hoping to export pyrite," he said. "We're working with Mount Morgan Minerals too." Carbine Resources' Mount Morgan rejuvenation project, in its final approval stages, would extract gold, copper and pyrite from the tailings of a deserted mine site where activity ended 27 years ago. Managing director Tony James said pyrite was an unexpectedly lucrative product, particularly in China. The transition from coal at Barney Point Terminal was part of the company's 50-year strategic plan.